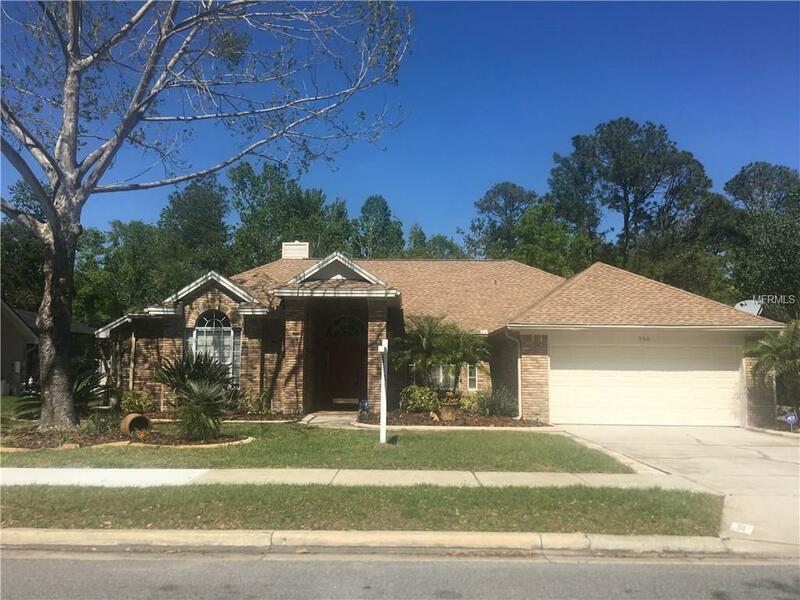 Beautiful practically BRAND NEW 4BR/2BA SALTWATER POOL HOME, backing to CONSERVATION!! Owners have left nothing untouched to make this house NEW AGAIN!! NEW ROOF!! NEW WINDOWS!! NEW DOORS!! NEW PLUMBING!! NEW PAINT!! NEW AC!! NEW DUCTWORK!! NEW SKYLIGHTS!! NEW HOT WATER HEATER!! Kitchen has been REMODELED to include GRANITE COUNTERTOPS, BEAUTIFUL MAPLE CABINETRY, GLASS TILE BACKSPLASH, and top of the line STAINLESS STEEL APPLIANCES!! Huge FENCED-IN BACKYARD with POOL that backs to CONSERVATION, yet still has lot of property for kiddios and dogs to play in. Master bedroom is LARGE, featuring crown molding, and exits to the pool lanai. Master Bath is gorgeous with DUAL SINKS, JACUZZI GARDEN TUB, SEPARATE SHOWER with GORGEOUS CABINETRY and LARGE PORCELAIN-LIKE TILE THRU-OUT!HUGE MASTER CLOSET!! Termite Bond in place.. WONDERFUL COMMUNITY AMMENITIES!! All "A" Seminole County Schools!! Put this on your list as an ABSOLUTE MUST SEE!! Listing provided courtesy of Florida Usa Realty.